In the midst of a 300-mile trek and prayer journey to bring salmon back to the McCloud River, the Winnemem Wintu Tribe and their allies converge on the State Capitol to demand a change in California’s water policy. 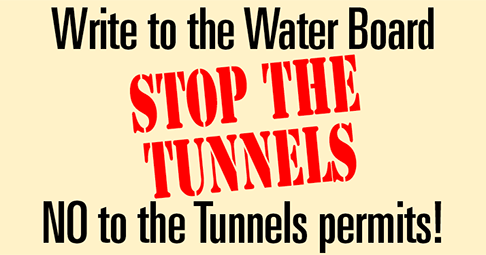 Help stop the Tunnels permits: We need people to write to the Water Board & we need people to read their statements at the hearing on 7/27/16. Please note: the recent ruling invalidating the Delta Plan does NOT affect the Water Board hearings. The hearings for diversion permits will go on as scheduled. The Tunnels are NOT DEAD. They are very much alive and moving forward. by Dan Bacher, posted on Daily Kos. From TheReporter.com. A panel of experts will discuss unanswered questions about the tunnel proposal from Gov. Jerry Brown to move water to Southern California. October 30: Deadline to submit your comments opposing the tunnels! 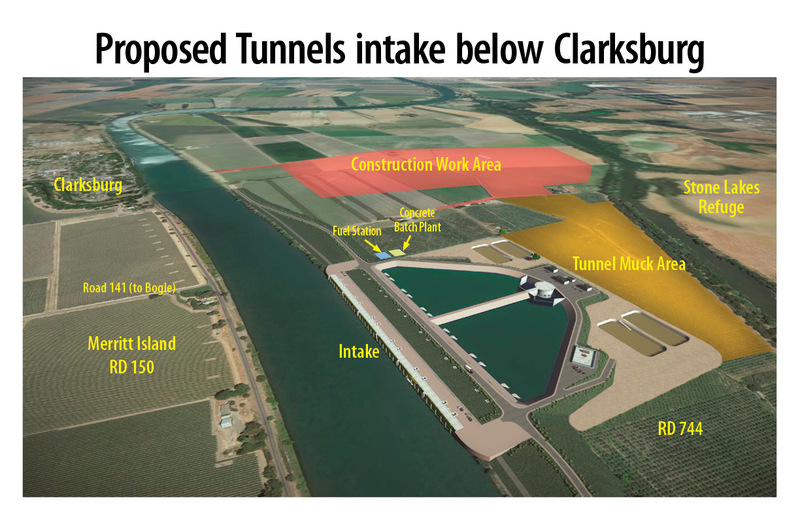 Sign the petition opposing the Delta tunnels! Protesters sing, wave signs and blast Delta tunnels at “open house"
Critical Action Alert! Attend the FINAL tunnels hearings!